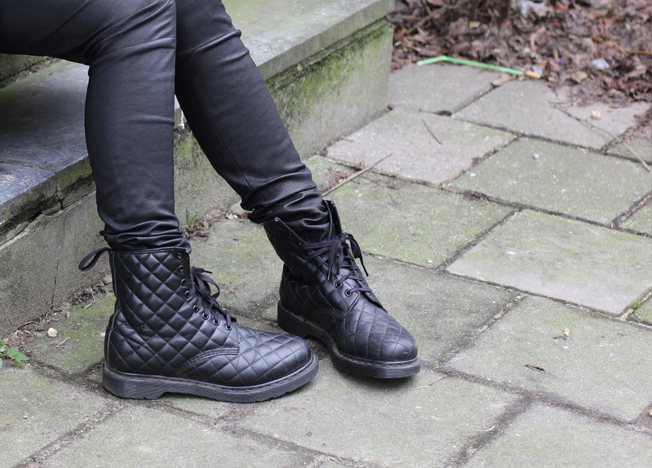 Finally a brand new outfit post for you! Wearing a new coat, the only item I bought this sale season (proud of myself). Did you survive sale season? Furthermore I'm wearing my favorite leather pants and one of my black sweaters on top of a denim dress. 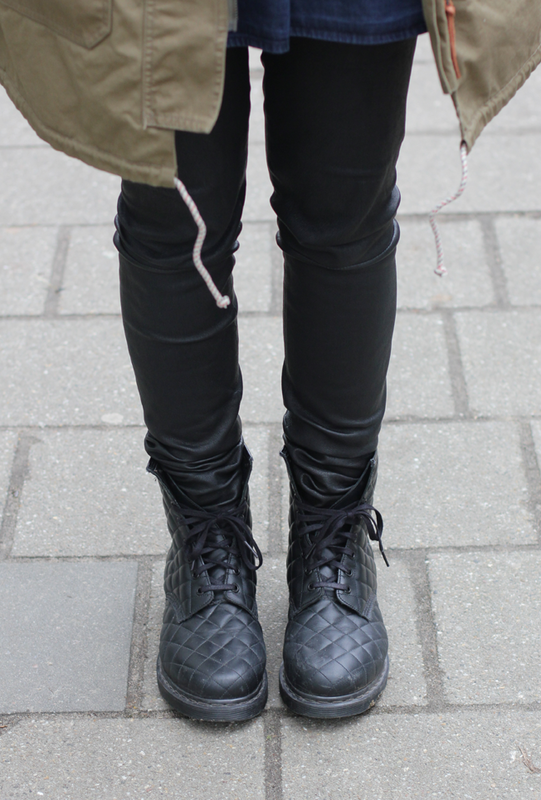 the quitled doc martens, love!! 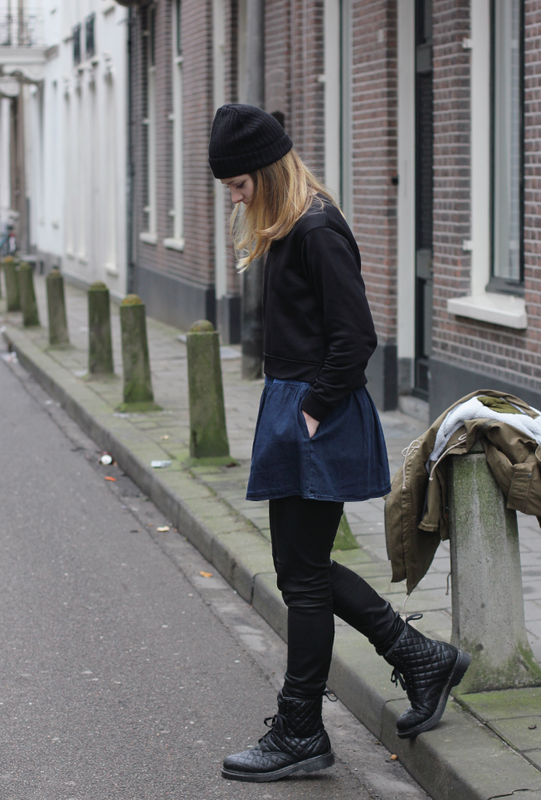 Love the denim dress, and of course blog! 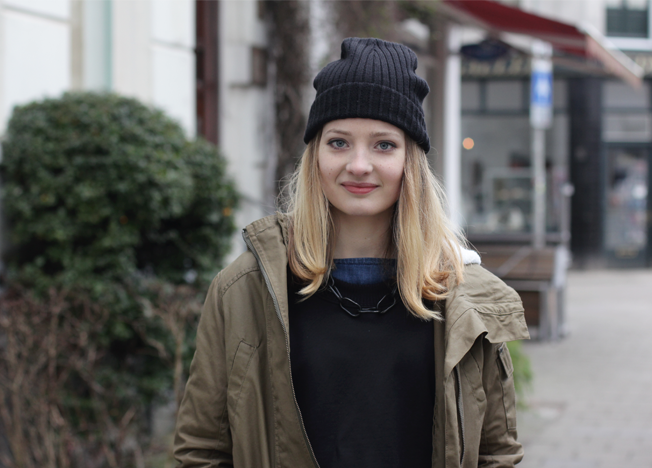 Awesome layering, and all my favourites too: denim, utility, leather. Perfect!